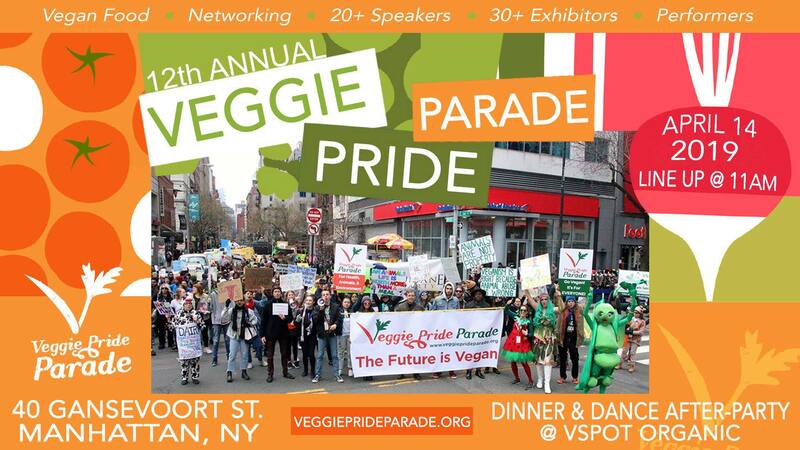 Veggie Pride Parade NYC is Coming to Town! Please join us Sunday, April 14, 2019. 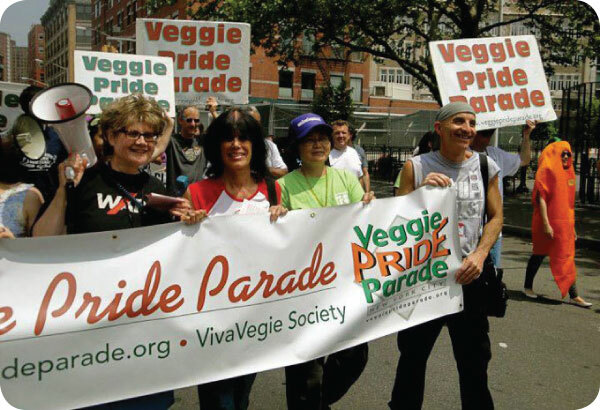 The Veggie Pride Parade is a FREE annual event that brings the vegan and veg-curious community together to celebrate animal-friendly, environmentally sustainable and healthy lifestyles. Come dressed like your favorite fruit, veggie, animal, or other themed costume, as there will be a costume contest in the afternoon with great prizes! The parade lines up at 11 a.m. at 40 Gansevoort Street in the old meatpacking district of Manhattan and ends at 1 p.m. in Union Square Park where there are two stages set up with speakers, exhibitors, performers, and new this year, cooking demonstrations! UPC president Karen Davis & fellow activists carry the banner for Veggie Pride!